Secret to raising the bar this time around? 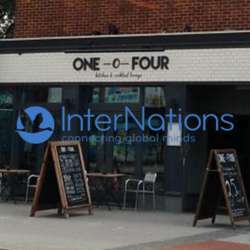 Wider smiles, plenty more of the banter and another glass of wine (mind the daily recommended units :D) InterNations is pleased to invite all the members to its next event at One-0-Four, Above Bar, Southampton. Meet amazing people and enjoy the evening with drinks and mouth-watering food platters. Additional info: Members are welcome to bring along friends who can easily register at the door and pay an entrance fee of £7. We look forward to seeing you all on Friday, 26 April 2019 at 20:00.